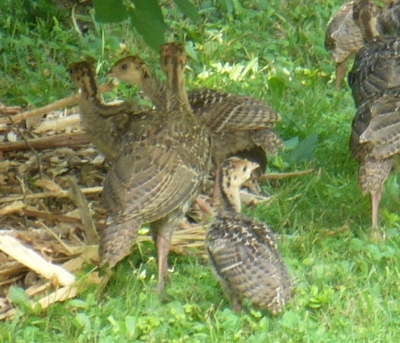 Wild turkeys. Do you have them where you are? There were two families of babies taking a dust bath in the vacant areas of my herb garden. When they saw me, of course they headed for the woods. 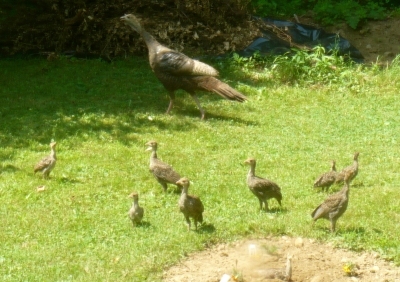 I have seen turkey families before in my yard, but had not seen the babies quite so close up. One set of babies was larger than the other, so I knew it was two different sets and there were two moms watching over the bunch. Cute! 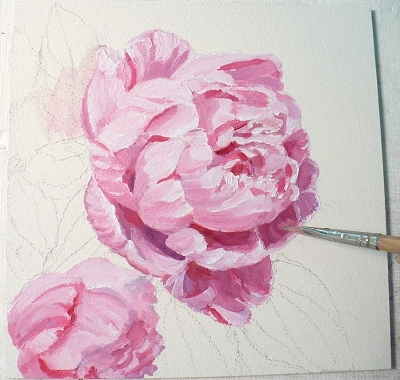 OK, now let's see how I did the oil painting. 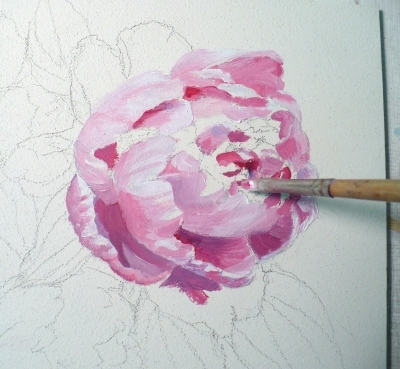 A rough sketch on the panel comes first so I'll know what I'm doing here. 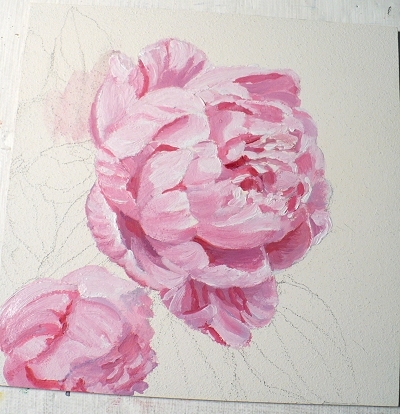 Then I start with the flower petals doing one at a time adding light areas and dark areas as I go. It's important with realism to establish where the light source is coming from so the shadows will be consistent. In this case, the light is coming from the upper left. 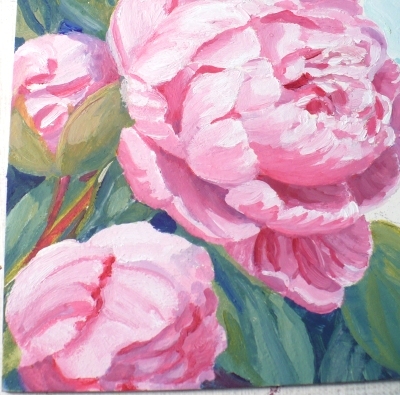 Last I add a sky blue background, keeping it simple to allow a restful area for the eye. This makes a triangular composition that I think is nice. Here it is all finished! 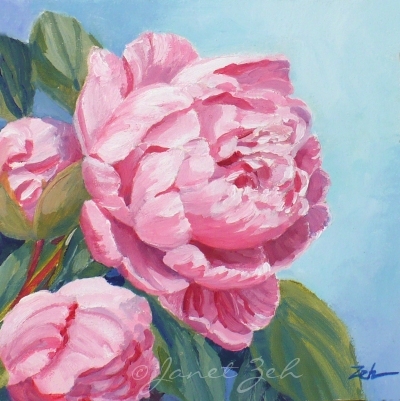 Find my original paintings and prints at ZehOriginalArt.com.